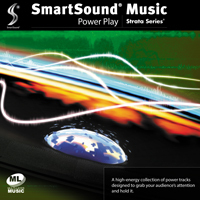 A high-energy collection of power tracks designed to grab your audience's attention and hold it. From infectious, bright, bouncy rhythms to grinding guitar chords, campy-disco power themes and more, these tracks will help propel any story imparting a positive, energetic theme. Our Timing Control features will really shine with these multi-layer tracks because of the tracks insistent, steady rhythms.